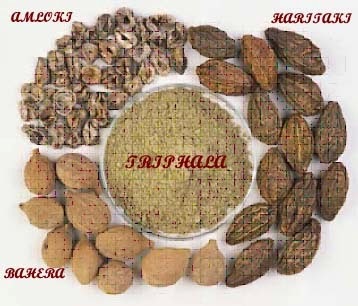 Triphala stands for three fruits. Phyllanthus emblica - Sanskrit "amlaki" or gooseberry. Terminalia bellirica- Vibhitaki or Aksha or "Bahera" and Chebulic myrobalans - also known as "haritaki" whose natural color is hara (green) thereby the name. It is also called 'the king of medicine' since charak's time. It is employed in the treatment of a great number of diseases. The main therapeutic version of Triphala is to scrape away digestive toxins from digestive tract and the blood, said to rejuvenate both the body especially the colon, lungs, and mind to impart wisdom and intelligence and increase longevity. 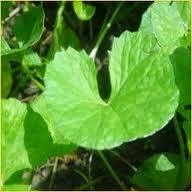 Haritaki which is also known as pathya in Sanskrit is also a very prestigious herb of Ayurveda. It prevents ageing, imparts longevity, boosts immunity, improves mental faculties and enhances the body resistance against diseases. Chebulic myrobalan (Haritaki) was first mentioned in Chinese medicine in the Materia Medica of Medicinal Properties (Yao Xing Ben Cao), a text published around 600 A.D., as a fruit originating from India and found favor wherever it went in Greco-Roman, Tibetan, Chinese, extolled in Four Tantras (Gyushi). 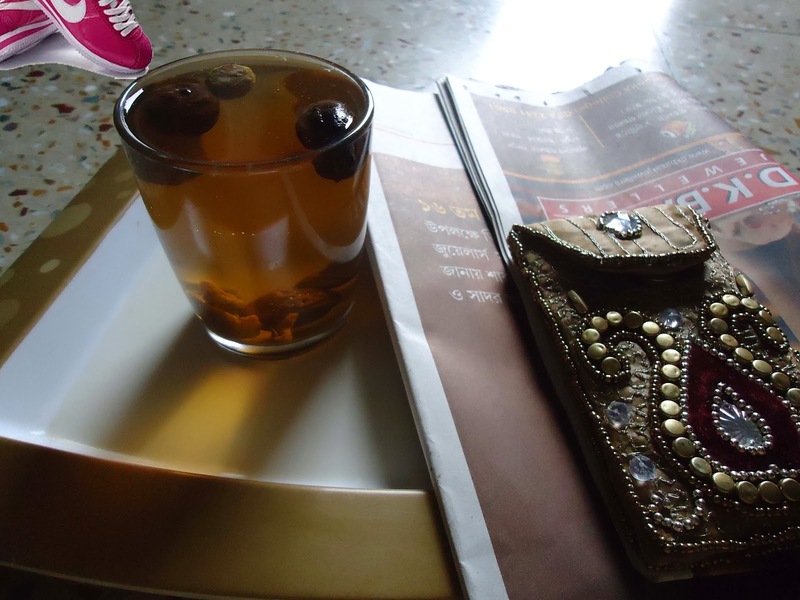 Amloki or Amla, mentioned in other Hindu myths, is said to be originated from the drops of Amrit. In the Sanskrit Buddhist tradition half an amloki fruit was the final gift to the Buddhist sangha by the great Indian emperor Asoka. It almost cures every disease and is also good in extending the longevity of life. Bahera, the fruit is very useful for dysenteric-diarrhoea as Chakradatta recommends that the inside of the seed is pasted with few black pepper and a little treacle from date-palm or khajur gur and is taken once a day for 3, 7 or 21 days and bael water is given as food. 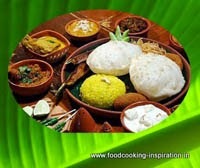 Sharangadhara recommends the fruits to be fried in ghee then covered with a paste of wheat flour. Triphala is an essential ingredient of famous ayurvedic formula that uniquely cleanses the body systems, considered to be very good astringent and laxative. After having this in the morning, only water can be had not more than a glass and nothing should be taken for at least 1 hour. At bed-time it serves well if it is taken with warm milk. One of the earliest treatises of ayurveda, the Harit Samhita, has the mention of “Triphala Kalpa” where it is used to assuage the symptoms of premature aging.